LoveToKnow had the opportunity to review the book, The Cow in the Parking Lot and conduct a Zen approach to anger interview with one of the authors, Susan Edmiston. LoveToKnow (LTK): How does the Zen approach to overcoming anger differ from anger management? Susan Edmiston (SE): Anger management teaches you how to keep a mean dog on a leash. The dog can still bite you and other people. The Zen approach starts with the realization that there is little or no benefit to anger and finishes by teaching how to transform anger into compassion. The Zen Buddhist approach outlined in our book is to use awareness to undo the conditioning that causes us to be angry under certain circumstances and to express that anger in harmful ways. By becoming aware of the cost of anger, the damage it does to our psyches, relationships and bodies, and the truth that people can choose not to be angry, people can begin to reduce and eliminate anger in their life. People can reduce many occasions for anger just by changing their thinking or experimenting with the ideas presented here, and by understanding why people become angry and what pushes their buttons, they can change their habitual responses. LTK: Who benefits from the Zen approach to overcoming anger? SE: As in all things psychological, there has to be a desire to change. People who believe that anger defines who they are are unlikely to want to change. People whose anger is expressed in violence have issues beyond anger such as fear, shame and profound insecurity. Just working on the anger issue won't work for those people. On the other hand, people who do not get angry a lot can benefit in a completely different way. For many people who understand anger is not beneficial, there is a lingering doubt that perhaps they should be angrier. That would perhaps enable them to get their way more often or get respect. When they study the Zen approach to anger, often they say "Whew, I have been doing it right all along." This book can help everyone. Merely experimenting with any one of the many ideas and practices presented here can lead to new insight and behavior regardless of personality type. LTK: How important is meditation? SE: Meditation is the basic tool of Buddhism. It is thus important in any Buddhist pursuit. However, in the approach taken by the The Cow in the Parking Lot, it is not necessary at first, but can be considered the next step to aid in going further in overcoming anger. Meditation offers an almost automatic buffer to the stress of life. The calm offered by as little as ten minutes of meditation, or even a few deep breaths, enables us to deal better with occasions for and provocations to anger, as well as angry assaults directed at us. However, it is not necessary to meditate to benefit from the teachings of this book. LTK: Why is it important for people to understand their anger? SE: True awareness of what motivates people allows an accurate insight into what they need to do to get past the anger and make the choice that will most likely meet their needs. LTK: Is it more important to learn how to avoid anger or how to deal with it? SE: Anger is a normal human emotion. No one fully overcomes anger. However, reducing the number of things that result in anger is one goal. The most important is learning not to act out anger. The two are intertwined. As one learns not to act out anger, it becomes clear that more and more things are not worth getting angry over. Also, when there are fewer things that make us angry, it becomes clear that acting out anger is virtually never beneficial. LTK: What are some ways someone can deal with someone else's anger? SE: The basic rule is not to get angry back. An honest response like, "That hurt." can be effective in changing the battle into a negotiation. In addition, like transforming your own anger into compassion, it is necessary to understand what has motivated the anger directed toward you so that you can have a compassionate response rather than an angry one. LTK: How do choices affect a person's anger and how can a person make better ones? SE: A reaction based in anger is generally limited to revenge or martyrdom, neither of which is a rational response. As they tell students in the martial arts, when you get angry you will lose. If you go past the anger and make rational choices, the likelihood is that you will make a more appropriate response. LTK: Many of the principles presented in the book are Buddhist. Do people have to believe in this religion to benefit from the book? SE: The answer is no. Overcoming anger will make a Muslim a better Muslim, a Christian a better Christian, and so on. It is no different than meditation which can be practiced without conflict for most faiths. For instance, understanding that an angry response is virtually never beneficial is surely compatible and desirable for any faith that I know about. It is useful to think of the teachings of Buddhism not as religion in a conventional sense but as a way of behaving in the world that is conducive to happiness. Buddhism prescribes an "Eightfold Path" consisting of Right View, Right Speech, Right Action, etc., in which "right" means not correct as opposed to incorrect, but "right" as in "this is appropriate, this works, this is in sync with reality", as Steve Hagen explains in his classic, Buddhism, Plain and Simple. 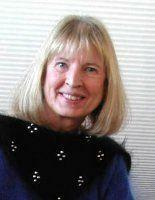 LoveToKnow would like to thank Susan Edmiston for taking the time to participate in a Zen approach to anger interview.